The ballad begins like a lullaby, gently rocking, with Sital-Singh’s always expressive singing voice modulated to a soothing murmur. But the emotion of his lyrics begins to break through his even vocal tone as he reaches the song’s poignant chorus, “it’s killing me that you’re not here with me / I’m living happily, but I’m feeling guilty / you won’t believe the wonders I can see / this world is changing, but I love you faithfully”. The synth backing behind the instrumental bridge is perhaps a bit of an odd addition to the instrumental arrangement, which would have been lovely enough had he left it alone, but the ultimate focus here never strays from the artistry and the genuine sentiment behind Sital-Singh’s vocals. The single’s b-side ‘Darling’ is, thematically, a fitting companion to ‘Killing Me’, and musically, a bit more in the vein of Sital-Singh’s standard fare. Its acoustic guitar and shuffling percussion create a comfortable backdrop for the warm timbre of Sital-Singh’s voice as he waxes philosophic about how love changes a person’s perspective on life, and the dynamic momentum of the song builds behind the simple, soaring repeated chorus, “everything will change, darling.” It’s a familiar pattern and one Sital-Singh has relied upon often in the past, but, as always, it works remarkably well for him here. 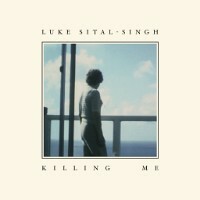 Luke Sital-Singh’s new single ‘Killing Me’ is out now via Raygun Records. You can read TGTF’s coverage of his past work, including a stream of his 2015 EP ‘The Breakneck Speed of Tomorrow’ right back here.